Even during rock ‘n’ roll’s peak years, some decidedly non-rockin’ songs still managed to fill malt shop jukeboxes with millions of dimes. Many a kid’s coin that could have purchased actual candy, instead went towards spinning this platter about candy. 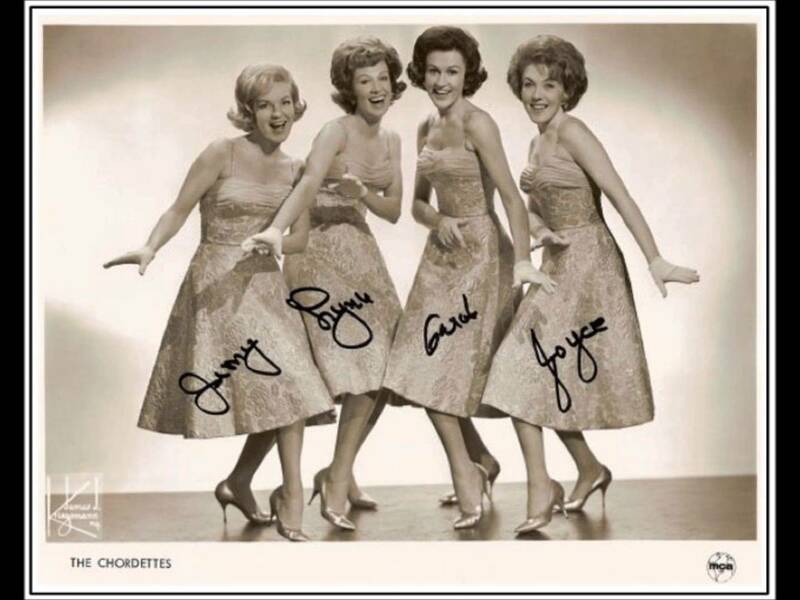 The Chordettes formed in Sheboygan, Wisconsin soon after the end of World War II, and a few years later won the whole shebang on Arthur Godfrey’s radio show, that decade’s equivalent of America’s Got Talent. A few years after that, they hit #1 with “Mr. Sandman,” a squeaky clean but highly enjoyable slice of close harmony pop that helped define the Eisenhower 50s. In 1958, as Elvis still shook his pelvis and Jerry Lee blazed like a one-man inferno, The Chordettes nearly reached the top again, harmonizing on a sweet and simple song with which you couldn’t help but sing along. It all began the previous year when songwriter Julius Dixson arrived late for a writing session with Beverly Ross. He explained that his daughter had gotten a lollipop stuck in her hair and that had caused his delay. Ross, being a savvy songsmith, took that tiny idea, just a word really, sat down at the piano and bashed out a song in about five minutes. She and another singer recorded a demo which actually ended up climbing as high as #20, but when The Chordettes got a hold of the song … well, game over, ya know? 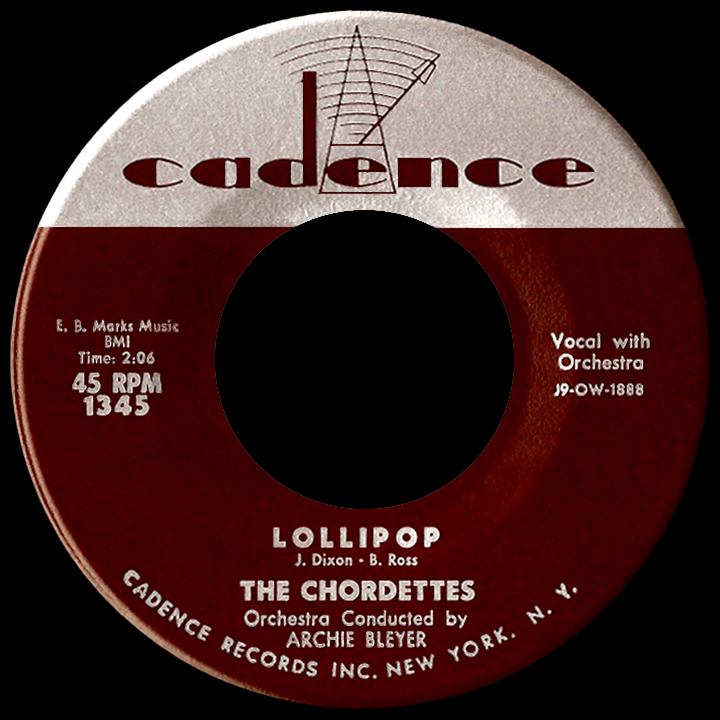 Released as a single in early 1958, “Lollipop” licked the competition and leaped up to #2.